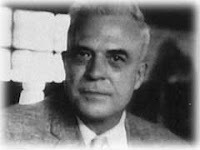 Milton Erickson was an American psychiatrist who had all kinds of unorthodox ideas about therapy which he used successfully. Many of his ideas point forward to the principles of the solution-focused approach. Erickson did not believe in diagnostic labels and strongly believed in the power of people to solve their own problems. He was convinced that therapy did not need to take long and thought that a small change by the client was enough to set a process of larger change in motion. He used paradoxical techniques such as prescription of the symptoms. Characteristic of his approach was that he used whatever was there in the context of the client. Each coincidental feature or event in the life of the client could be part of the solution. An illustration of this is the case of the African Violet lady. An old depressive lady lived alone in a big city. She had no family and friends left and seldom left her house. A concerned neighbor approached Milton Erickson who agreed to visit her. He saw the house was in total squalor and asked to be shown around the house. While walking through the house he did not say a word. He did notice dying African Violet. At the end of the tour, he said: “I can tell that you love flowers". The lady agreed. Erickson suggested that she’d go out to buy African Violets and plant them in her garden. He also suggested that she would send one of here African Violets each time someone in her neighborhood died or was born without telling who had sent it. The lady agreed and the news spread quickly in the city of this mysterious lady who sends everyone her African violets. When she died, many years later, she had become well known in the area and hundreds of people came at her funeral. Newspapers mentioned the African Violet lady had died (source: carol roach, M.Ed, B.A). In a way that was typical for how Milton Erickson viewed life, he once said he had had had the advantage of having had polio at age 17 which totally paralyzed him. This had been an advantage because it had helped him to become very good at observing other people. Instead of complaining about his situation, he accepted it and turned it into an advantage. He conquered his paralysis later by teaching himself step by step to move again. By the way, besides having been paralyzed, Milton Erickson had quite a few other limitations: he was colorblind, dyslectic, tone deaf and arrhythmic (Cade, 2007). I am a Bristol hypnotherapist that uses solution focused brief therapy as approach to help my clients. Milton Erickson was an amazing person, avid writer and great teacher. I am currently studying his collected works. His contribution to psychotherapy and hypnotherapy still sparks interest in professionals and students around the world. The word 'legend' gets banded around too often these days and with slight regard. However, in terms of input, sharing, knowledge, insight, encouragement and zeal, Milton was and is undoubtedly a legend in the world of therapy. His credibility can be easily seen from how we not only review his work and study it in a historical context, but how re-reading some of his core ideas can spark more fresh and modern realisations about this amazing field we work in. Erickson had written rules for therapists to live by. Do you recall the citation?